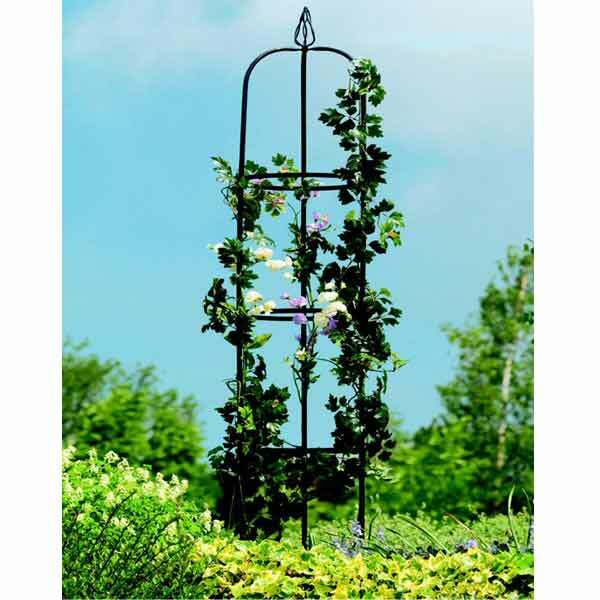 The Gardman Easy Garden Obelisk has a three-leg design that is very easy to assemble. 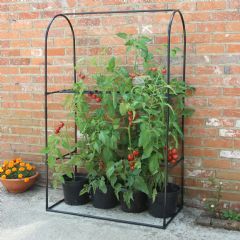 Create a wonderful focal point for your roses, small trees or climbing plants. 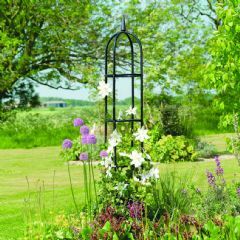 The obelisk also has a decorative finial to provide the perfect finishing touch to your eye-catching display. 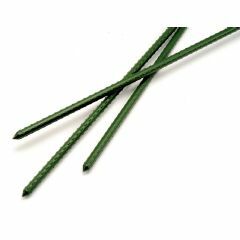 Made from robust black polyester powder coated steel tubes with a black polyester-coated finish. 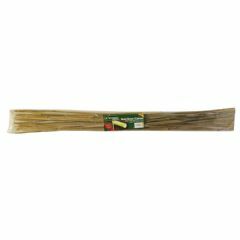 Also suitable for flowerbeds, borders and containers. 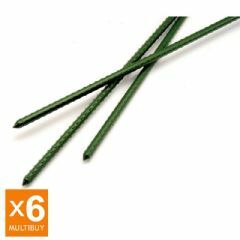 This is easy to assemble, great value and a sturdy garden obelisk. We are delighted with it and would certainly buy again. Having checked reviews before I purchased this, I have to say that I was not disappointed. Package arrived quickly and I found it very easy to assemble with just a screwdriver. It is sturdy and looks good. Quality product at a reasonable price. I have bought these before and have been very pleased with them. 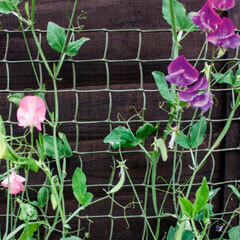 Lovely for perennial sweet peas. I ordered two obelisks and they arrived quickly. Unfortunately one of them was missing the finial. On contacting the supplier they did not have any spare parts, so sent me a complete new obelisk which arrived the next day. Very pleased with the service. 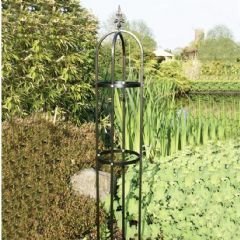 Obelisk was easy to construct, lightweight, and easy to lift into position in garden. We used it to support some tall peonies, and will move it around to other tall plants. Good quality , sturdy , well coated looks like it should last our winter storms ! Very good value and quality , just right for my container climbing roses and tall enough too . exactly as described .Very easy to assemble and the coating looks thick enough to last a number of our winter winds and coastal storms . Delivery process was very good and items arrived as advised . My two obelisk arrived the next day. Assembly was easy, and look great in the two pots where 6' honeysuckle will grow up them on my balcony. So looking forward to summer! 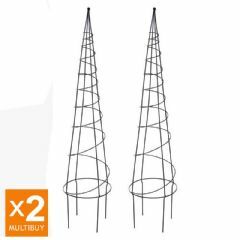 We needed two obelisks for a new border we had created,these will form focal points at the back of a white fence. 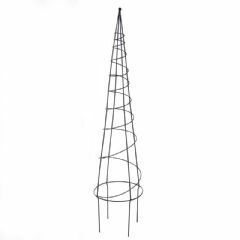 The two Gardman obelisks we bought from Greenfingers were perfect ,well packed ,good solid quality ,I am sure they will be a feature of our garden for many years to come.